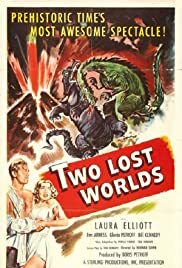 Do I have any 1950s scifi films? Before he became James Arness, James Aurness was captain of the Clipper ship "the Queen" sailing in the Pacific where he encounters pirates which leads to a trip to the hospital which in 1830 couldn't do much for his health but was an unusual setting for a romantic encounter with another mans girl. Just sit right back And you'll hear a tale A tale of a fateful trip, That started from this tropic port. The skipper was a Marshal brave and sure. the weather was fine but pirates attacked. The ship's aground on the shore Of this uncharted desert isle. So this is the tale of our castaways, They're here for a long, long time. The first mate and his Skipper, Chester and Festus, too! with recycled film from a dozen other movies. too try and keep things interesting.